Plex is perhaps the best media server around. It's also free to install, although the app will set you back $4.99, unless you stumble on a deal. It's also multi-platform, with Windows, Mac, Linux and NAS compatibility. The app, similarly, will work on just about any platform, both mobile and set-top box. Now the version for Roku is getting an update to the channel, as Roku refers to apps on its tiny boxes. 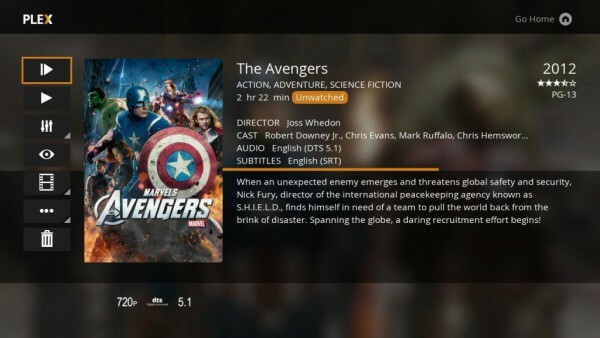 The latest version brings a new look and some additional features to the Plex channel. Plex will pull all of your media together in a nice window, regardless of whether it's movies, TV shows, pictures, music or just random video files. Despite "new features" being added, it really is enhancements to existing ones. Plex will still do all of the wonderful things you love about it, but it will now do them a bit better and look a little nicer while it does them. There is also good news, as Roku points out that "The Plex channel is free! You've already invested in your collection of movies and music, and your Roku player or Roku TV model is already sitting in the living room and other rooms in the house. Plex does the heavy lifting so that all of your media is accessible at no cost to you on all of your devices -- that’s right, no monthly fee or rental charges". The same can not be said for other devices.